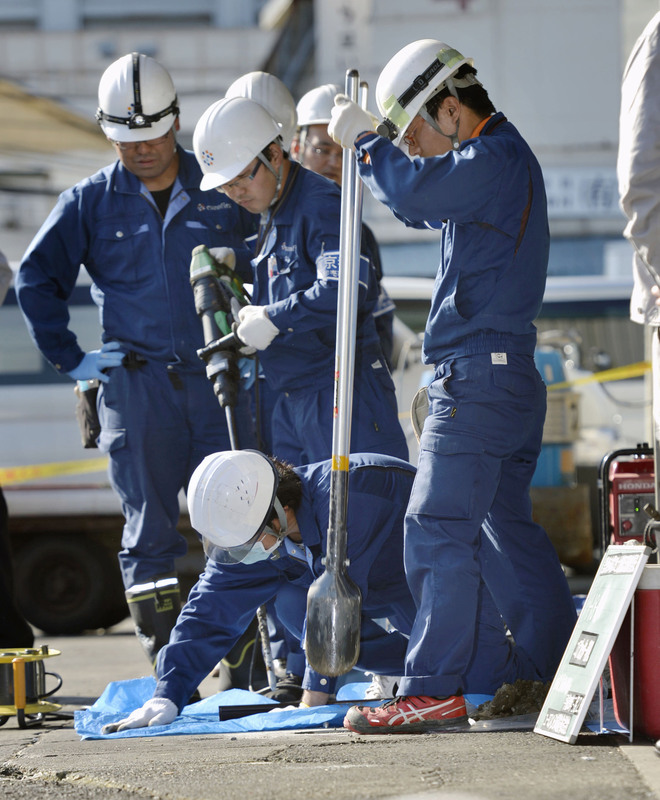 Illegal levels of toxins including arsenic, lead, hexavalent chromium and mercury have been detected in soil samples taken under the asphalt foundation of the Tsukiji fish market, the Tokyo Metropolitan Government said Thursday. The results of the first full-fledged soil survey at the location could influence Gov. Yuriko Koike’s decision on whether the metropolitan government will move the famous but aging market to the new pollution-tainted site or renovate the existing one. Soil samples showed lead and arsenic at levels of up to 4.3 times and 2.8 times the legal limit. They also contained 1.8 times the allowable level of mercury, 1.5 times the allowed level of fluorine and 1.4 times the limit for hexavalent chromium. The metropolitan government noted, however, that the site is covered with asphalt, which means the contaminants shouldn’t affect food safety there. The ground underneath the fish market is believed to have been contaminated by chemicals from a now-defunct dry-cleaning plant. Koike, who became governor last August, suspended the relocation of the market to the adjacent Toyosu waterfront district due to soil and air pollution concerns and safety shortcuts taken at the site, which was previously occupied by a Tokyo Gas plant, and mounting costs linked to the project. The metro government conducted the soil inspection earlier this month, taking samples from about 110 locations in the market at depths of around 50 cm. At the Toyosu site, which was scheduled to open in November 2016, extremely high levels of toxins including benzene have been detected. 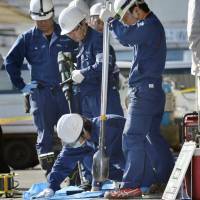 Koike said it is necessary to reduce the levels of toxins at Toyosu to below government standards to ensure safety. The market also deals in fruit and vegetables. A government project team studying the relocation estimated renovating the Tsukiji market would cost about ¥85.2 billion ($763 million), cheaper than the price tag for cleaning up the Toyosu debacle.